National Board of Revenue (NBR) Job Circular 2018 | nbr.gov.bd has been found my website. The National Board of Revenue (NBR) is the central authority for tax administration in Bangladesh. The main responsibility of NBR is to mobilize domestic resources through the collection of import duties and taxes, VAT and income tax for the government. NBR job position is entitled new pay scale this job are Grade no 11, 13 14, 16 and 20 no Grade. NBR Job total vacancies are forty-three. National Board of Revenue (NBR) is under the ministry of finance. National Board of Revenue (NBR) Job Circular 2018. ■ Compensation and Benefit: as per the new pay scale. 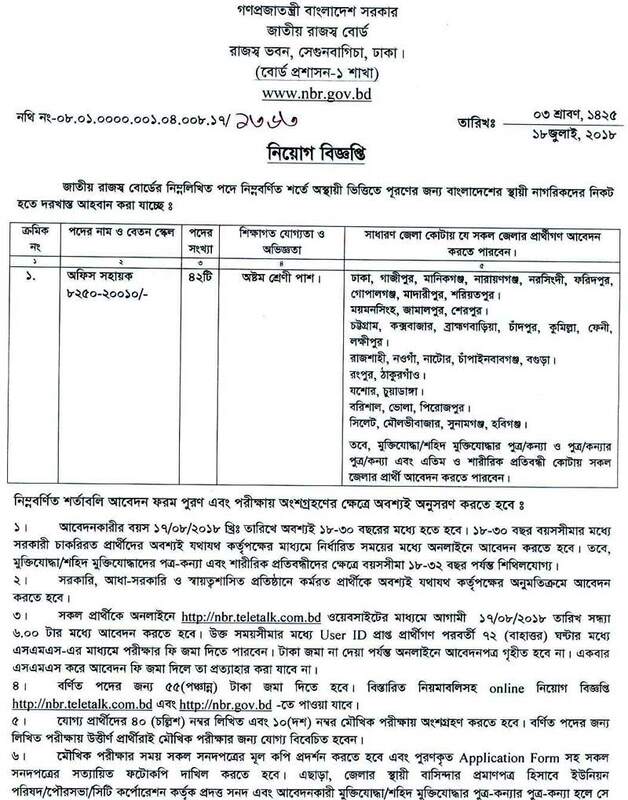 ■ How to Apply: Apply with full Resume to First Secretary (Board of Administration), National Board of Revenue, Revenue Bhabon, Shakunbagicha, Dhaka-1000. The National Board of Revenue (NBR) is the central authority for tax administration in Bangladesh. Tax Commissioner’s Office is the part of the government Republic of Bangladesh. 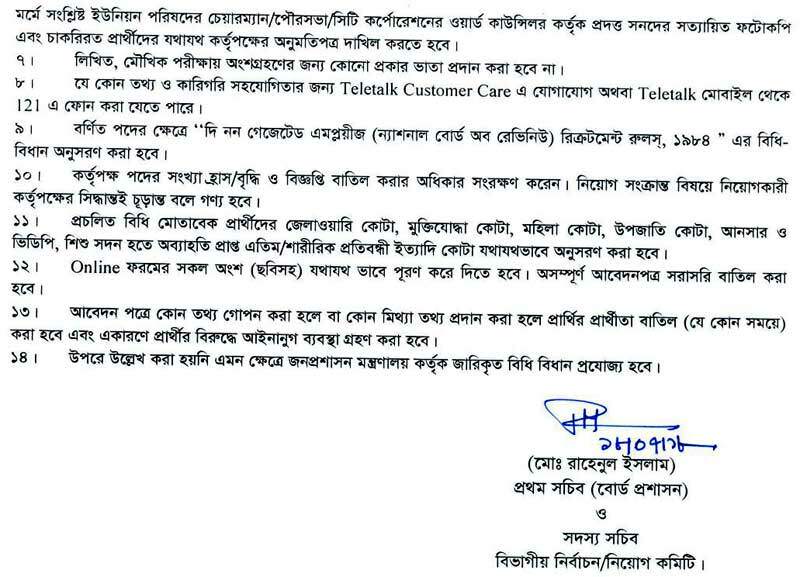 Tax Commissioner’s Office is the most important Tax authority in Bangladesh. The National Board of Revenue (NBR) is the apex authority for tax administration in Bangladesh. National Board of Revenue (NBR) Job Circular 2018.